The cotton sheets which you may have been using, are made from cotton farmed by conventional farming methods are actually bad news for the environment. Cotton which is farmed using pesticides is responsible for more than 10% of the total pesticide use globally. The pesticides do not affect the cotton manufactured from this raw cotton, but the toll on water and soil is heavy. But now, you can choose organically farmed cotton, without using any pesticides, and using natural pest control methods. Fibers such as hemp, bamboo, wood pulp (also known as Tencel, Lyocell and Legna) are grown sustainably, without the use of herbicides and pesticides. You can choose bed sheets made from these fibers instead of conventional cotton sheets. Though most of these fibers are superior or equal to cotton in terms of warmth, luster and texture, some are not as durable when they are washed with conventional detergents, dried and ironed. So be sure to find out the details of the material before buying. Silk and wool have been used for centuries as the favorite material to sleep by many. But in the conventional method of producing silk, the larvae have to be killed in order to harvest the cocoon from which silk is made. Organic or wild silk is made from cocoons which are harvested after the moth leaves it. This makes organic/wild silk a humane product, which is also one of the prerogatives of organic products. Similarly, wool which is obtained from sheep which are free-range, and sheared using humane shearing methods is called organic. Before buying any organic sheets or pillows etc, check for certification, such as USDA for the US. A pillow has to be just right to help you fall asleep. You can make the perfect eco friendly pillow for yourself and your family, by using buckwheat hulls as filling. Wool batting is also another alternative filling you can use. Pillows are simple enough to sew, and any imperfections will be hidden by the pillowcase! You can add fragrances like chamomile and lavender in your pillow to induce rest and sleep. Using organic cloth/fiber, such as flax or cotton, you can make your own comforter, and fill it with cotton or wool to make it eco friendly. Sew the three sides first then fill it with the filling. Baffling will keep the filling of the comforter in place. 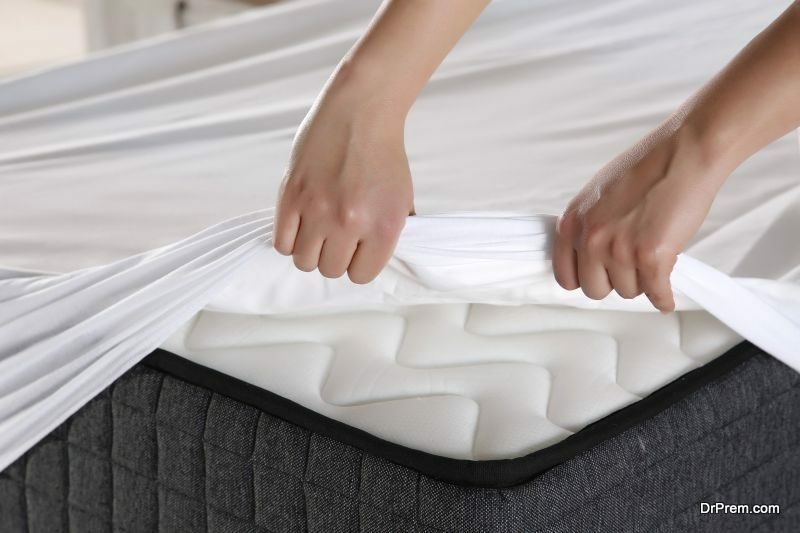 Mattresses made from natural rubber and other organic materials like organic cotton for filling as well as the cover are just as comfortable as your old mattress and eco friendly as well. An eco friendly bedroom need not be drab and boring. You get bright and colorful organic materials you can use to sew a brand new sham, or make one using old tees, sweater, dresses etc to give a designer look to your bedroom. 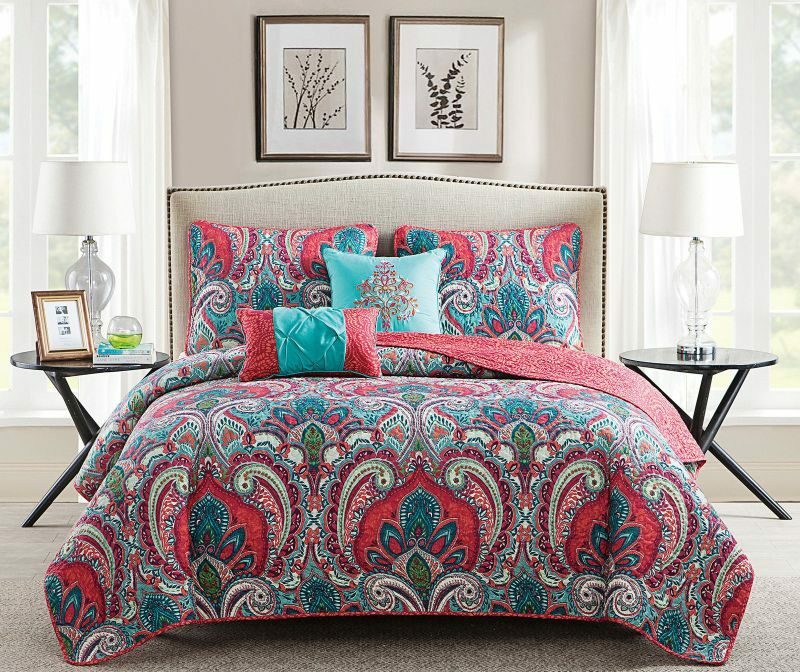 The headboard plays an important part in the design of your bedroom. Vintage or repurposed headboards look great, and reusing an old headboard means you don’t contribute to the production of more products using up more raw material. And getting it painted in lead free colors will make your headboard a beautiful green addition to your home. Choosing organic bedding and mattresses will help the environment and your effort to reduce your carbon footprint. Apart from organic growing methods, while buying eco friendly cloth for your bedding, try to buy only those fibers from companies which have a fair trade policy in place too.